The publication of the Government’s Transport White Paper and its tenyear plan seemed set to usher in a new railway Golden Age. But the moment was not seized, and it has now passed irretrievably. 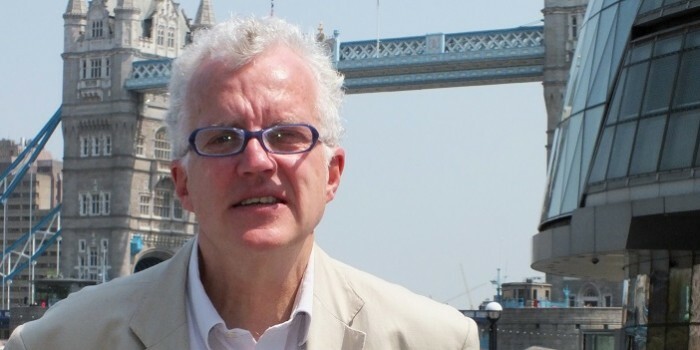 CHRISTIAN WOLMAR warns that visionary schemes will now have to take second place to smaller-scale thinking as the railway is forced to readjust its ambitions. Given the momentous events across the globe, the spotlight has remained off the railway and is likely to continue to do so for the next few months. The second part of the Cullen report is now also out of the way, with its predictable recommendations, and therefore rail managers and their PR firms can continue their painstaking task of getting the railway back together while continuing to be out of the media spotlight. But there should be no illusions that the lull is a temporary situation and there are still likely to be massive changes in the industry within the next couple of years. The first point to note is that not only is the notion of a 20-year franchise dead, but so is the whole ten-year plan that promised so much. It not only has the big hole in it identified by Sir Alastair Morton because of the collapse of Railtrack, but it is now quite clear that the Government has decided that, at best, it can hope for the railway to recover to some reasonable level of punctuality and reliability, but that’s about the limit of its ambition. Visionary schemes for, say, reopening the Woodhead or building huge chunks of new parallel line to the East Coast are not so much on the back burner, but off the stove completely. The principal reason is that there is no money. The sums contained within the ten-year plan never really stood up to close scrutiny. Out of the £60bn promised for the railways, more than half – £34bn – was to come from the private sector, a completely unquantifiable sum which was really just a guess. Then another £14bn represents the subsidy expected to be paid to the train operators – surely an underestimate given that Virgin’s commitment to pay over £200m a year to run the West Coast in 2011/12 is never going to be realised. Add in the cost of the West Coast refurbishment, TPWS and Thameslink, representing at least £8bn (though there is some measure of double-counting here), and the £1.5bn bail-out to Railtrack post-Hatfield, as well as all the extra cash going to Railtrack thanks to Tom Winsor’s generosity in the access charge review, and there is precious little left in the kitty. The misplaced emphasis on loading the industry with yet more safety requirements also precludes any fond hopes of fanciful schemes for the railways. Make no mistake that if the industry is forced to comply with the Cullen requirements of fitting European Train Control System on Britain’s 100mph lines by 2008, then that investment will be instead of potential modernisation and improvements, and not additional to them. That is why the rail industry has to fight its corner on this issue, something it has so far failed to do. But as well as the lack of cash, there is a paucity of vision which is possibly, in the long run, even more damaging. John Prescott may not have been my favourite person, but he was, in transport terms, a genuine radical. Despite all his pomposity and his mistakes like that 200-yard drive along the Bournemouth sea front, he genuinely thought that he could get people out of their cars and on to public transport. Lord Macdonald, who virtually took over the transport brief towards the end of Labour’s first term, and now Stephen Byers and John Spellar, are essentially technocrats who want to manage the transport system more efficiently, but have no intention of pushing through such a radical concept as making life more difficult for motorists. The moment, I’m afraid, has passed. We barely noticed it was there. For just a few months, there was genuine hope in the air. The 1998 White Paper didn’t seem that radical at the time, but it did represent a shift away from the old ‘predict and provide’ model for road building, and was an attempt to underpin a move away from road transport towards bus and rail. Ladbroke Grove, followed in quick succession by the road hauliers’ and farmers’ protests over fuel prices and the Hatfield crash, put paid to that vision. This means that the industry has to focus on the little things because the big ones ain’t gonna happen. This can go too far. The SRA has been reduced to issuing press releases which make announcements like “SRA funds extension of car park at Waterbeach” which happened to plop on my desk on September 11, the day America found out that it was part of the rest of the world. As they used to say when I was at The Independent, ‘hold the front page’. But it is not an entirely bad thing to focus on getting the existing railway right and looking for the minor investment schemes to make a difference. In the 1960s, the journey time from London to Edinburgh was progressively reduced by small-scale schemes and while such gains are not so easy to find, they are still possible. Of course, this is a deeply gloomy message. With the publication of the White Paper and the ten-year plan, there was the prospect of a railway Golden Age and it seemed that at last the Government had recognised that the railways have a great value beyond the immediate transport advantages, as in France where the TGV has become a symbol of the country’s modernity and vision. Now all that is gone. Moreover, there is deep uncertainty in the industry while the Government works out what to do with the railways. The second important point to note is that the railway will not retain its existing structure. But there is a fierce debate going on inside Whitehall over what to do about the railways. Sure, the refranchising process seems to have restarted, with the Strategic Rail Authority announcing that is consulting with Passenger Transport Executives (one might ask why it did not do this before?) over the Transpennine concept. But no serious long-term decisions are being taken while No. 10, the Treasury and the DLTR look at ways forward for the industry. There are, as ever, two sides – revolution or evolution. But even the latter would mean substantial changes. The idea gaining favour seems to be to try refinance Railtrack, by separating off its existing capital – owned by shareholders but which effectively becomes bonds because it would earn a set rate of return – from new funds which the company would then be able to raise. Frankly, I doubt whether that is feasible. The City is just not going to accept the notion of a strong Railtrack in which it can confidently invest. Recapitalising Railtrack under the existing structure retains all the problems with what Gerald Corbett used to call ‘the financial architecture’ of the industry. The revolutionary outcomes being looked at include the renationalisation, in some form, of Railtrack, an option favoured privately by John Spellar, the middle-ranking Transport Minister. That, too, poses problems but retaining a near-bankrupt company at the heart of the rail industry is not a feasible option. That is gradually dawning on the ministers and civil servants working towards a solution, but they are aware that any option is highrisk, even just trying to muddle through. They do not want to be seen to be responsible for another Hatfield-type debacle. One thing is guaranteed. While the headline writers may have their minds on other things at the moment, attention will return to the railways once events on the world stage have calmed down. Let’s hope that by then both the industry and Government will have begun to work towards solutions. The best thing about the second part of the Cullen inquiry into Ladbroke Grove is that the good Lord effectively abolished himself – or rather his successors. As I have mentioned before, I think it is a fatuous concept to get some member of the great and good to come into the industry, hold public hearings and then pronounce on how it should be reorganised. Cullen has, in my view, shown a lack of intellectual rigour in his reports (or, alternatively, has he been nobbled?). In his first one, he defined the public interest as the survivors and victims’ groups, something which was unforgivably craven towards the media view of railways. In this second one, he has failed to follow the logic of his own argument. He said that the way the industry had been fragmented and privatised contributed to the accident and yet he did not draw the obvious conclusion that retaining the existing structure increases risk. As my forthcoming book* claims, the way the industry was privatised caused all three of the major post-privatisation crashes – Southall, Ladbroke Grove and Hatfield – precisely because the new structure was less robust than the old one. Although looking at the whole structure of the industry was beyond his remit, Cullen should, at least, have suggested that further work should have been undertaken on this vital issue. Maybe he will read my book. While virtually everyone in the industry agrees that having a Rail Accident Investigation Branch is a good idea, the curious aspect of Cullen’s recommendation is that although it should be someone of greater stature than poor old Vic Coleman, the present Chief Inspector of the Railways, it need not be headed by someone with railway experience. That is a mistake. Granted, the old generals and colonels who ran the Railway Inspectorate were outsiders, but they were, in fact, moving from one military-style industry to another. Now the industry is so much more complex that it needs someone with a knowledge of its recent history and an understanding of the legal and commercial relationships between the various players. So, wrong again, Lord Cullen.